Like many of my fellow nerds, I was absolutely devastated to hear of the passing of Stan Lee yesterday. I never had the pleasure of meeting Stan Lee, but a few of my friends did. By all accounts, he was incredibly kind and humble. It felt silly to me, to a degree, to weep real tears over a man I’ve never met or even knew on a personal level, but there I was, sitting at my kitchen table with my face in my hands, feeling heartbroken at the Godfather of Geekdom’s passing. Growing up in an area that did not often look too kindly upon those of us of a more nerdy persuasion, Stan Lee became a sort of geeky grandfather figure to me. He was an adult that loved the things I loved. I’d never met an adult like that before. I was inspired by the sheer number of characters and ideas that he had. They seemed to bubble over from his mind and onto the page. His work inspired me to dive into art. I started drawing. I’ve never been great at the drawing or painting side of art, but I started to draw my own comics (Lego Man and Lego Dog), and I began to write my own stories. One time I had Lego Man and Lego Dog take on my favorite Spider-man villain, Venom. I found some of these drawings when cleaning out some old papers a few months and laughed until I cried. 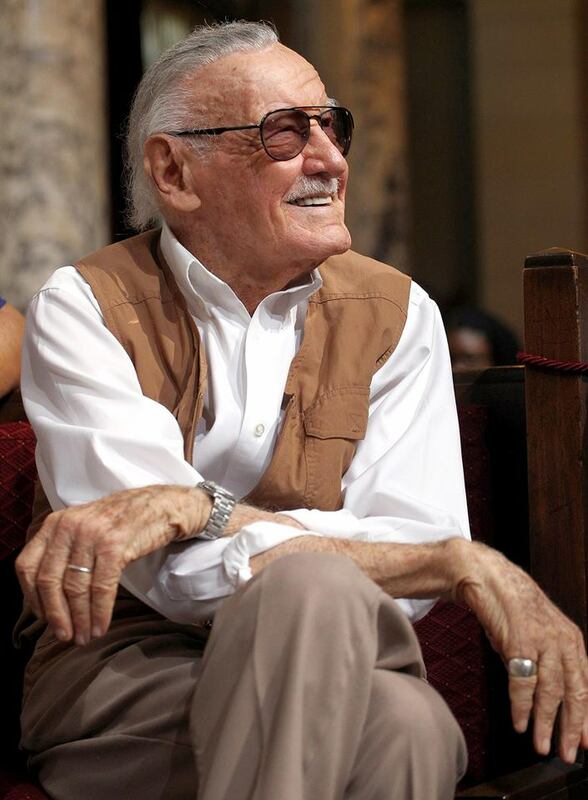 While silly, I love what Stan Lee’s comic stories inspired in me–a drive to create stories of my own. While many do not care for a more didactic or moralistic approach to storytelling, the lessons I learned from Lee’s stories and characters truly shaped me as an adult. “With great power comes great responsibility” from Spider-man has made me consider the gifts and small sphere of influence that I possess, that I use them wisely and to help others. I was galvanized towards the evils of racism and prejudice through reading and watching the X-Men. Reading Marvel comics as a child filled me with an incredibly deep sense of justice and a desire to protect and help the most vulnerable among us. His comics made me brave during difficult times in my life as a child. His stories still make me brave as an adult. This is the great work of Stan Lee–his comic parables have inspired generations to become better people. I am among that number. This entry was posted in Comic Books, Deeper Things and tagged comics, Excelsior, Marvel, Marvel Comics, Stan Lee. Bookmark the permalink. I love this. I have always admired how he was able to both entertain and inspire through a totally unconventional artistic medium. He will definitely be missed. Thank you, Kayla. When I watched Into the Spider-verse after writing this, the man made me cry 4 different times throughout the whole film because of how well he understood what it meant to be a hero.